Chipmaker Via claims it has created the world's first 'carbon free' PC with the help of its new processor. 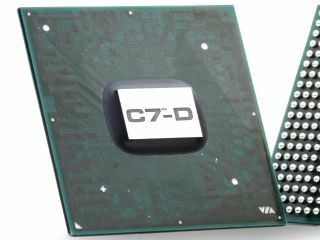 The term isn't entirely accurate, as no account is made of the energy used in producing the C7-D processor , or any of the other components included. A better way of describing the system would be that it offsets some of the CO² it produces. A PC using Via's processor would consume less energy than the norm. The 1.8GHz chip consumes 20W and further power savings are possible due to the use of smaller power supplies and cooling fans, which also make the PC quieter for the end user. The C7-D processor is compliant with the Restriction of Hazardous Substances directive as well, which came into force in July this year. The RoHS directive aims to limit the amount of harmful materials such as lead in electrical and electronic goods. In addition, Via has announced a Carbon Free computing initiative , further increasing its green credentials. It plans to plant enough trees around the world to offset the CO² produced by the processor. Via estimates that four trees will be enough to offset the C7-D's carbon use, compared to 31 for Intel's Pentium-D.